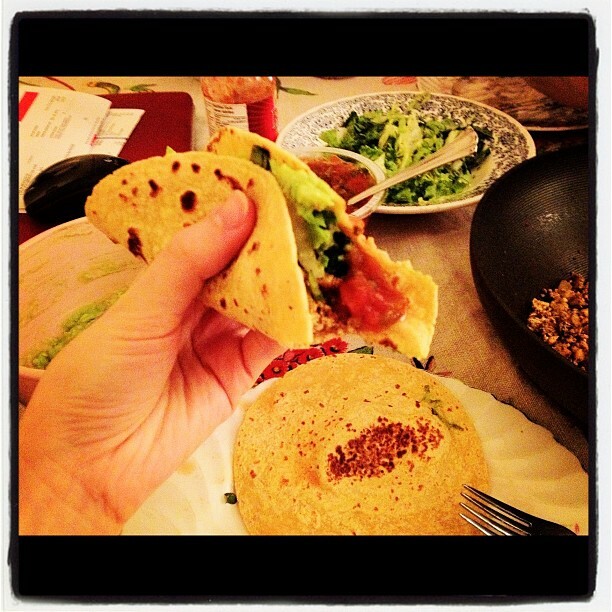 Soft shell tacos are the best. These are sprouted organic corn tortillas. The best store bought ones yet! Next time I will try making them myself. They seem pretty simple to create. Just put a little masa harina flour into a bowl with a little hot water and you're pretty much done! The dough should be soft and pliable. Like silly putty. You can use an old fashioned rolling pin to stretch them out or purchase a tortilla press! Either way will work out just great. Once you have your tortilla shape, just dry fry in a very hot skillet for about 1 minute on each side. If you've never heard or seen of masa harina flour, it can be found in Mexican markets (there is one close to Dufferin and Bloor) or in most grocery stores, specifically in the Mexican foods aisle. Well, at least in Toronto! Bob also makes a great one. In Spanish, masa harina, literally means "dough flour" since it is traditionally used to make tortillas, tamales and other Mexican dishes. Masa harina is pretty much just like regular corn flour (not cornstarch), but made with specially treated corn. The corn is first dried and then treated with a solution of lime and water. This solution loosens the hulls from the kernels and softens the corn, making it easier to digest. It also reacts with the corn to release Niacin, a B vitamin, for easier absorption by the digestive tract. So what kind of fixings did I make for these guys? I roll up a couple of lettuce leaves and slice very thin. Mash some a couple super ripe avocados with chopped sweet onion, lots of minced garlic, lemon juice (or lime), chopped cilantro, sea salt, black pepper and a pinch of ground cumin. I really love using sweet onions here because they are so mild that I can put a lot of them in my guac without overpowering it with onion flavor. I really appreciate a little crispiness in my guac! Garden Fresh Gourmet "fresh" salsa. It's my fave. Especially the artichoke garlic one. 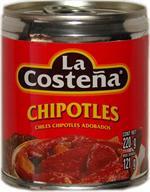 Totally the next best thing to homemade salsa which takes forever to make and can be $$$$. You can find this in the refrigerated section at most grocery and health food stores. Fiesta Farms keeps it in the dairy section... It got it for $3.69! A steal. Cheez or sour cream (optional). If you want to make your own sour cream, here's a delicious way to do it! In a blender, puree these ingredients until super smooth and silky : vegan mayonnaise and/or silken tofu with lemon juice, fresh garlic, cilantro and maybe a couple pine nuts or cashews. Thin out with a little water if need be and salt to taste. It's delicious! 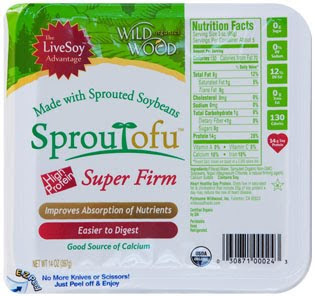 -Press a package of super firm Wildwood's sprouted tofu and crumble it in a bowl using your hands. You could use any other firm tofu, just not silken tofu. -Fry diced onion and minced garlic in oil in a hot skillet and mix in some chili powder, ground cumin and salt. Cook for a few minutes, stirring frequently. -Add in the crumbled tofu and press it using your stirring implement to get rid of any excess moisture. -Stir fry the tofu for a few minutes until it begins to brown. Add chopped chipotle peppers in adobo sauce (I removed the seeds because I'm a baby) and some freshly diced tomatoes, juice and all. You could also use salsa or tomato paste instead of the fresh toms if you don't have any on hand. Taste and adjust seasoning if need be. *** Beans are also great in tacos! Black beans or pinto or romano! Yum. You can easily substitute beans for the tofu. That would be delicious.